Dr. Atul B. Gawande is Currently working as Assistant Professor & Head, Department of Physics, MVP’S Arts, Commerce & Science College, Tryambakeshwar. 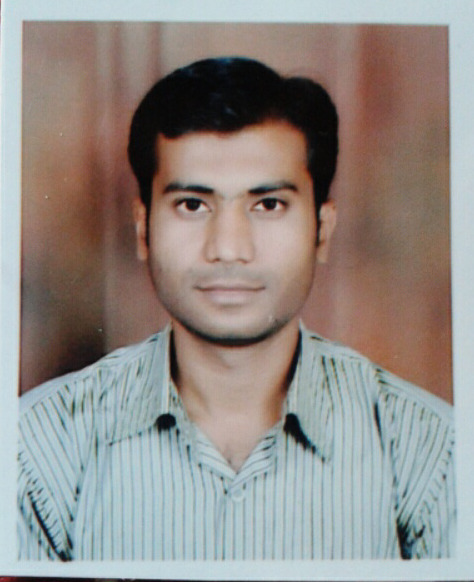 He Worked as Project Fellow for two years at Department of Physics, G.S. Science, Arts and Commerce College, Khamgaon, on UGC New Delhi sanctioned Major Research Project entitled “Development and Preparation of UVB emitting phosphors for Phototherapy”. Publications: 1. A.B. Gawande, R.P. Sonekar, S.K.Omanwar. Luminescence improvement in Pr3+ and Gd3+ activated Sr2Mg(BO3)2 inorganic phosphor. Materials Research Bulletin (2014) Elsevier Publications 60: e285–e291. 2. A.B. Gawande, R.P. Sonekar, S.K.Omanwar. Synthesis and enhancement of luminescence intensity by co-doping of M+ (M = Li, Na, K) in Ce3+ doped strontium haloborate. Optical Materials (2014) Elsevier Publications 36: Page 1143–1145. 3. A.B. Gawande, R.P. Sonekar, S.K.Omanwar. Synthesis and PL Study of UV Emitting Phosphor KCa4(BO3)3:Pb2+. Journal of Luminescence (2014) Elsevier Publications 149: Page 200–203. 4. A.B. Gawande, J.T. Ingle, R.P. Sonekar, S.K.Omanwar. Photoluminescence in Pb2+ Activated SrB4O7 & SrB2O4 Phosphors. Journal of Luminescence (2014) Elsevier Publications 149: Page 236–239. 5. A.B. Gawande, R.P. Sonekar, S.K.Omanwar. Combustion Synthesis and Energy Transfer Mechanism of Bi3+→Gd3+ and Pr3+→Gd3+ in YBO3. Combustion Science and Technology (2014) Taylor & Francis Publications 186: Page 785-791. 6. A.B. Gawande, R.P. Sonekar, S.K. Omanwar. Photoluminescence Properties of Combustion Synthesized BaB2O4:Pb2+ Phosphor. Combustion Science and Technology (2014) Taylor & Francis Publications 186: Page 1928-1935. 7. A.B.Gawande, R.P.Sonekar, S.K.Omanwar. Synthesis and Photoluminescence Study of Bi3+ & Pb2+ activated Ca3(BO3)2. International Journal of Optics (2013) Hindawi Publishing Corporation: http://dx.doi.org/10.1155/2014/418459 8. A.B. Gawande, R.P. Sonekar, S.K. Omanwar. Combustion Synthesis of Narrow Band UVB Emitting Borate Phosphors LaB3O6:Bi,Gd, & YBaB9O16:Bi,Gd for Phototherapy Applications. Optik - International Journal for Light and Electron Optics (2016) Elsevier Publications 127: Page 3925–3927. 9. S.P. Bhagat, A.B. Gawande, S.K.Omanwar. Photoluminescence Study of a Novel UV Emitting Phosphor Sr2Mg(BO3)2:Pb2+,Gd3+. Optical Materials (2015) Elsevier Publications 40: Page 36-40. 10. A.O. Chauhan, A.B. Gawande, S.K.Omanwar. Narrow band UVB emitting phosphor LaPO4:Gd3+ for phototherapy lamp. Optik - International Journal for Light and Electron Optics (2016) Elsevier 11. A. B. Gawande, R. P. Sonekar, J.T. Ingle, S. K. Omanwar. Photoluminescence of a Green Emitting Phosphor LiCaBO3: Tb3+. International Journal of Knowledge Engineering (2012) Bioinfo Publication 3: Page 53-54. 12. A.B. Gawande, R.P. Sonekar, S.K. Omanwar. Synthesis & photoluminescence study of UV emitting borate phosphor Ca3B2O6: Pb. AIP Conference Proceeding (2013) AIP 1536: Page 601-603. Publications in International/National Events (Conferences, Seminar, Symposia, etc) 1. R. P. Sonekar, A. B. Gawande, S. K.Omanwar. Synthesis and Luminscent Properties of Tb3+ Activated Novel Magnesium Alumino-Borate Phosphor. National Conference On Novel Synthesis of Advanced Materials & Their Applications (2015) Arts Commerce and Science College, Maregaon pp 166-170. 2. S. P. Bhagat, K. D. Potdar, K. A. Koperkar, A. B. Gawande, S. K. Omanwar. Synthesis and Photoluminescence Study of Ce3+ Doped BaB2O4 Phosphor. National Conference on Recent Trends in Mathematics, Physics and their Applications (2014) S. K. Arts, Science & Commerce College Akola pp 104-106. 3. R.S. Palaspagar, A.B. Gawande, R.P. Sonekar, S.K. Omanwar. Preparation and photoluminescence properties of CaAl2B2O7:Sm3+ phosphor. 5Th International conference on Luminescence and its Applications (2015)PES University Banglore pp 120. 4. S.P. Bhagat, A.B. Gawande, R.P. Sonekar, S.K. Omanwar. Synthesis and photoluminescence study of red phosphor SrZn2(PO4)2:Eu3+. 5Th International conference on Luminescence and its Applications (2015) PES University Banglore pp 208. 5. A.B. Gawande, R.P. Sonekar, S.K. Omanwar. Charge compensation in Bi3+ doped strontium magnetium borate. 5Th Interntional conference on Luminescence and its Applications (2015) PES University Banglore pp 187. 6. Y.P. Manwar, R.S. Palaspagar, A.B. Gawande, R.P. Sonekar, S.K. Omanwar. Combustion synthesis and photoluminescence characteristics of Sr2Mg(BO3)2:Eu3+. 5Th Interntional conference on Luminescence and its Applications (2015) PES University Banglore pp 154. 7. A.B. Gawande, R.P. Sonekar, S.K. Omanwar. Synthesis and Photoluminescence Study of Ce3+ doped Strontium Borate. National Conference on Advanced Material (2014) Nabira Mahavidyalaya, Katol, Dist- Nagpur pp 21-23. 8. R. P. Sonekar, A. B. Gawande, J. T. Ingle, S. K.Omanwar. Combustion Synthesis of a Novel Lithium Aluminium Borate Phosphor Li2AlBO4:Eu3+. National Seminar on Technological Innovations with Environmental Integrity (2012) H.V.P. Mandal’s College of Engg. & Tech. Amravati pp 195-197. 9. R. P. Sonekar, A. B. Gawande, J. T. Ingle, S. K.Omanwar. Photoluminescence of Eu3+ doped rare earth borate host phosphor. National Seminar on Technological Innovations with Environmental Integrity () H.V.P. Mandal’s College of Engg. & Tech. Amravati pp 197-200. 10. A. B. Gawande, R. P. Sonekar, S. K.Omanwar. Synthesis and Phtoluminescence Studies of a Novel Lithium Aluminium Borate Phosphors Li3AlB2O6:Eu3+. National Conference on Lasers & Advanced Materials (2012) Departments of physics, S. G. B. Amravati University Amravati pp 109-110. 11. R. P. Sonekar, A.B.Gawande, J. T. Ingle, S. K. Omanwar, S. V. Moharil. Photoluminescence of A Novel Red Phosphor LiCaBO3: Eu3+. National Conference on Advanced Materials in Industries (2012) Ismail Yusuf Arts Science and Commerce College, Mumbai pp 67-69. 12. R. P. Sonekar, J. T. Ingle, A.B.Gawande, S. K. Omanwar, S. V. Moharil. Combustion synthesis of a novel green phosphor LaBaB9O16: Ce, Gd, Tb. National Conference on Advanced Materials in Industries (2012) Ismail Yusuf Arts Science and Commerce College, Mumbai 13. R.S. Palaspagar A.B. Gawande R.P. Sonekar, S.K. Omanwar. Preparation and luminescent properties of Eu3+ activated BaAl2B4O10 phosphor. National Conference on Novel Synthesis of Advanced Materials (2014) Department of Electronics, Dhote Bandhu Science College, Gondia pp 58-61.